but are often mistaken for it. “Fake” is a dirty word in the collecting world. To purposely deceive a customer using a created item that mimics the genuine article is a highly unethical practice. However, not all unlicensed products are meant to deceive. Learn the difference between the real, licensed products and the “fakes” before you spend the big bucks. Left: Ceramic craft based on Lucy Hungerford Doll. Right: The real Lucy Doll. Peanuts characters are popular with a lot of people. Like any popular figure, crafters, children and enthusiasts will create new worlds for their favorite characters. These creations aren’t made to deceive. Whether it’s a painted pottery figure or a quilt bought at a craft fair, these personal pieces fill a gap in the licensed product market. When resold, they can sometimes be mistaken for the real thing by dealers and sellers. Since these pieces are generally one of a kind and can vary in their quality, the assessment of their value should be made by the buyer. Just as when they were made, their value is personal and not monetary. In general, their value on the collectors’ market is very little. Who doesn’t want Snoopy on their favorite sports team’s side? Items made in larger quantities, but not licensed, are sometimes referred to as “Fantasy pieces”. They often show our favorite characters in very strange circumstances. They are generally easy to spot and are not very high quality images. Items that are easy to produce, such as patches, pinbacks, posters and keychains, are the medium of choice. Again, their value on the Peanuts collector market is minimal. Reproductions are approved re-issues of licensed products. Like their name suggests, a reproduction is a reissuing of a previously popular item. Reproductions are usually marked as such to allow future collectors to determine which version they have. The reproductions may not fetch as much as the original, but will still hold some value on the collectors’ market. One great example of this is the 1969 Determined Productions Snoopy astronaut doll. The original can fetch a lot of money and is now being reproduced in Japan under license by Medicom. View a side-by-side photo of the new vs. old pieces here: http://bit.ly/Wmx6H4. The original version is on the right. One tell-tale sign between the two dolls is the zipper. Who’s the Funny-Looking Kid with the Big Nose? 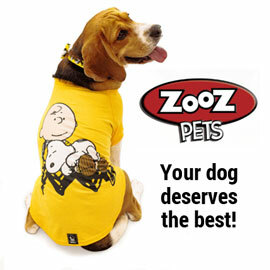 Any black and white dog tends to be called Snoopy in online marketplaces. While the seller may have it wrong, it’s probably an innocent mistake. The term “knock-off” is used for pieces that vaguely seem like they might be Peanuts merchandise, but clearly isn’t. In countries where the copyright laws aren’t as enforceable, unlicensed pieces get produced and sold in large quantities. These pieces usually redraw the characters or have subtle changes from the real thing. Spotting them is usually pretty easy. When in doubt, check if there is a UFS (United Feature Syndicate) or PNTS copyright, the true mark of a licensed piece. There is no value for these pieces on the market and are usually called fakes or knock-offs. Fakes are created to make big money from innocent customers with pieces that look real and are presented as real. If a collectible is popular, sells for high prices and is easy to forge, then the market may be targeted by unscrupulous dealers. The faked collectible is usually a fantasy piece, an unlicensed reproduction or a signed piece. Sometimes it isn’t just some guy in his basement cranking out fakes, but factories in China flooding the market. Fakes in the collector market hurt everyone. Buying and selling becomes risky when you know there are fakes. Collectors may leave the market and sell their collections, further flooding the market with legitimate pieces. This can lead to a depression in the market since buyers aren’t sure what’s real and sellers are plentiful. Recovery is difficult since there are still fakes floating around. Even if a fake is reasonably priced, should you buy it? NO! If an item is made to deceive then don’t support the sellers. Unless the piece is sold as a licensed reproduction, craft or fantasy piece, save your money! Only deal with dealers who are upfront about an item’s origins. Should you tell a dealer they’re selling a fake? Depending on the situation, you may want to. If you do, don’t be confrontational. The dealer might not know it’s a fake either. Try and get more information about the piece. Have evidence to back up your claim. The dealer should welcome your info and look into the matter further. If they continue to try and sell it as the real deal, you might want to seek your Snoopy collectibles elsewhere in the future. Knowledge is power. Arm yourself with resources, such as collector’s guides, that are reliable catalogs of legitimate items. Check the item for odd flaws, image warping, missing parts of images and signs of tampering. Peanuts characters have changed a lot over the years, so see if the age of the piece makes sense for the style of the character. Until the end of the strip in 2000, character art was retired every four years or so to make sure the character style matched and were current. 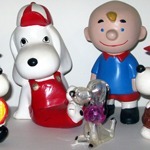 If there’s no sign of a copyright or usual hallmarks of Peanuts items, it may be fake. If you suspect a fake, share it with your fellow collectors to get their opinion. A big source of fakes in the Peanuts market are Fire King mugs. Collectors in Japan have driven the market up on Fire King mugs to outrageous prices. Fire King made mugs in both plain and decorated forms, so reproductions and fantasy pieces are easy to create with plain mugs and a decal. Fire King was produced by Anchor Hocking until 1976, but some real mugs after than time frame may still have the Fire King markings. The best way to spot a fake is to know what mugs were produced and when. For more information on Fire King mugs, visit fire-king-mug.com. Certificates of Authenticity – I asked a seller if he had a certificate of authenticity. He sent me the photo of one he had made himself. Certificates of Authenticity need to be from an outside party and from a reputable authenticator. Do your research into the company that issued the certificate. Not all legitimate companies or appraisers are experts in Charles Schulz signatures and art, so they may not have enough experience to give a correct appraisal. Check to make sure it is an original document and not a photocopy. The authenticator may have a record of the transaction and may be able to give you information. Backstory – I was once asked to buy a Bob Kane (creator of Batman) and Charles Schulz co-signed piece. The seller gave me the back story that it was signed in 2005 at a Comic convention. By that year both artists had died and so did the seller’s story. Always ask how the seller acquired the piece. If they say they got it signed in person, ask for a photo or other proof. If I was getting something signed by my hero, I certainly would take a photo and remember the exact details of the event! Once you have the details, research again to see if they check out. Seller’s Actions – If the seller knows he has a fake, he won’t want to give you a solid backstory, additional photos or take the piece to a reputable authenticator. Sellers who go through all the right channels and aren’t afraid to put their piece to the test may just have the real deal. For any type of collectible, a seller who is willing to give you the information you need to feel comfortable buying their piece is the type of seller you want to deal with. It’s buyer beware in the world of collectibles. With knowledge and experience on your side, you can avoid the pitfalls of faked merchandise and faked Charles Schulz signatures. Fake Schulz signatures, artwork and animation cels, visit FiveCentsPlease.Org. Wannabe Snoopy board at Pinterest.com.